Ready to eat. Hot in 60 seconds. 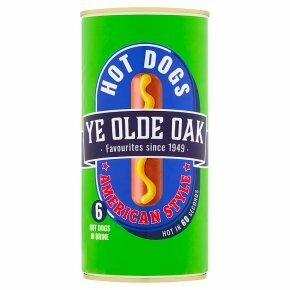 Ye Olde Oak hot dogs are pre-cooked and can be eaten hot or enjoyed cold straight from the can. Empty hot dogs including brine into a microwavable bowl.Cover bowl loosely and cook on high (850W) for 60-90 seconds.Microwave ovens vary.The above is a guide only.